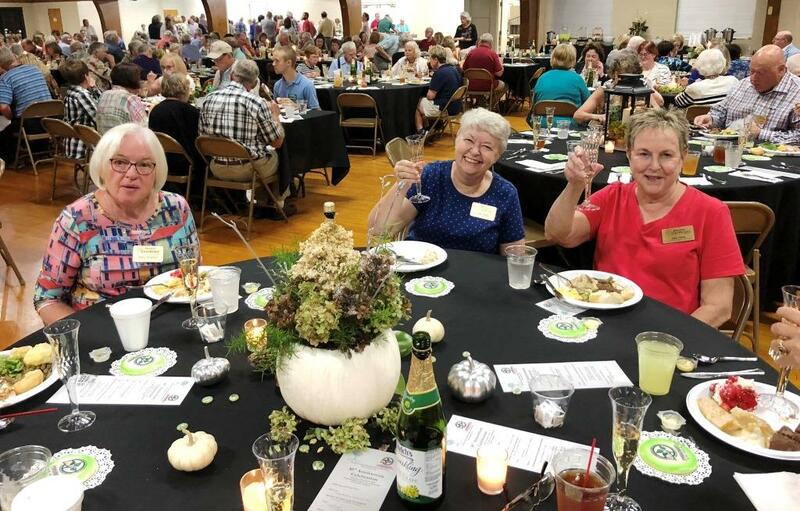 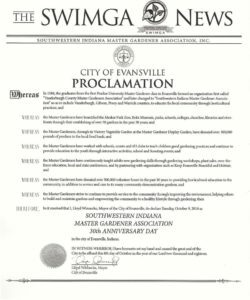 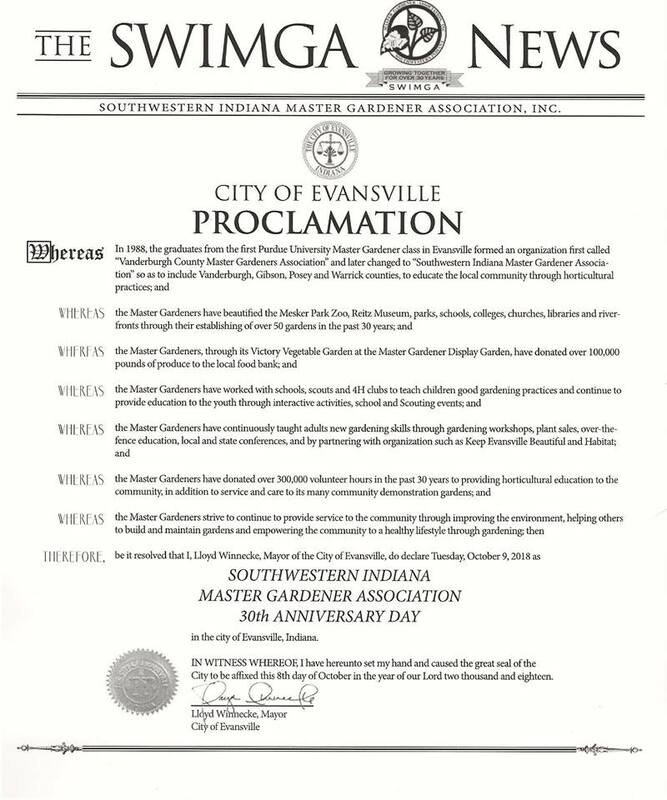 Lloyd Winnecke, the mayor of Evansville, proclaimed October 9 “Southwestern Indiana Master Gardener Association 30th Anniversary Day.” At the celebration, current SWIMGA president Tony Buccilli emceed the event. 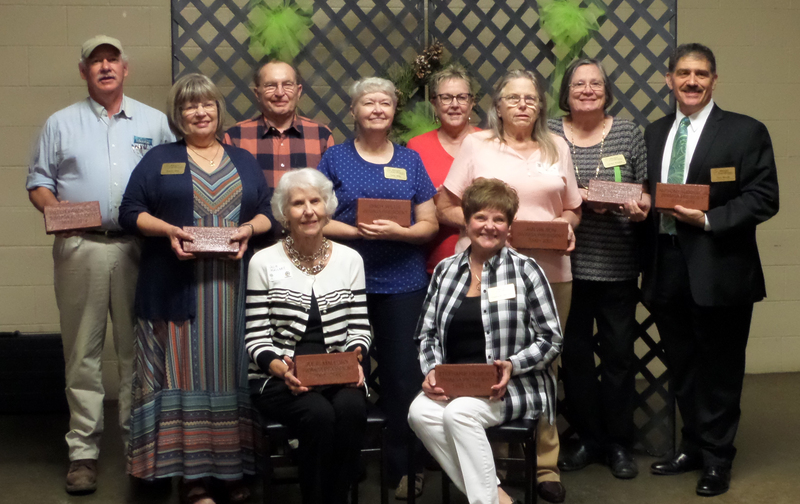 Photos and memories of the last thirty years were shared and past presidents were recognized for their service. Larry Caplan, former Purdue Extension Educator, ANR (1988 to 2018), was also honored. 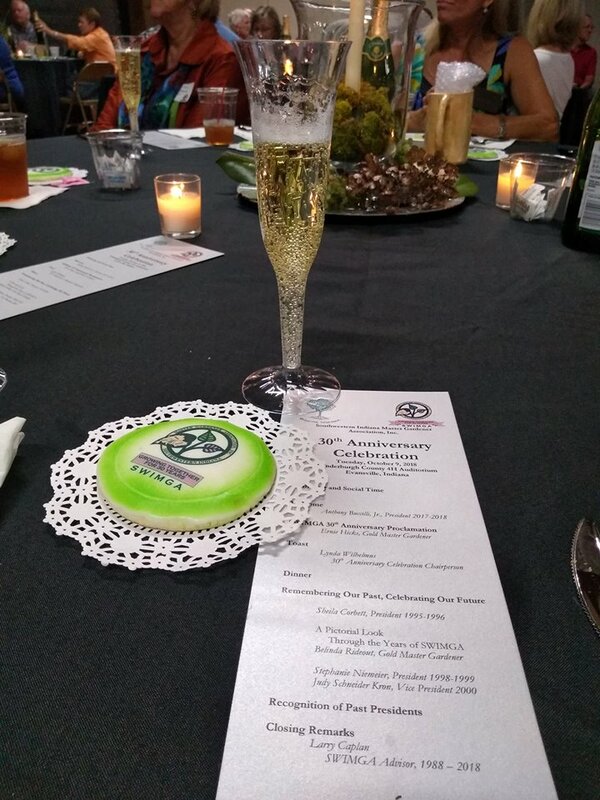 Congratulations to SWIMGA for 30 years of service to their community. 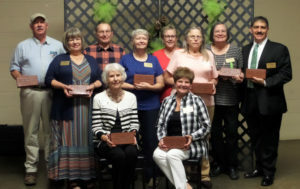 Past presidents of SWIMGA were honored. 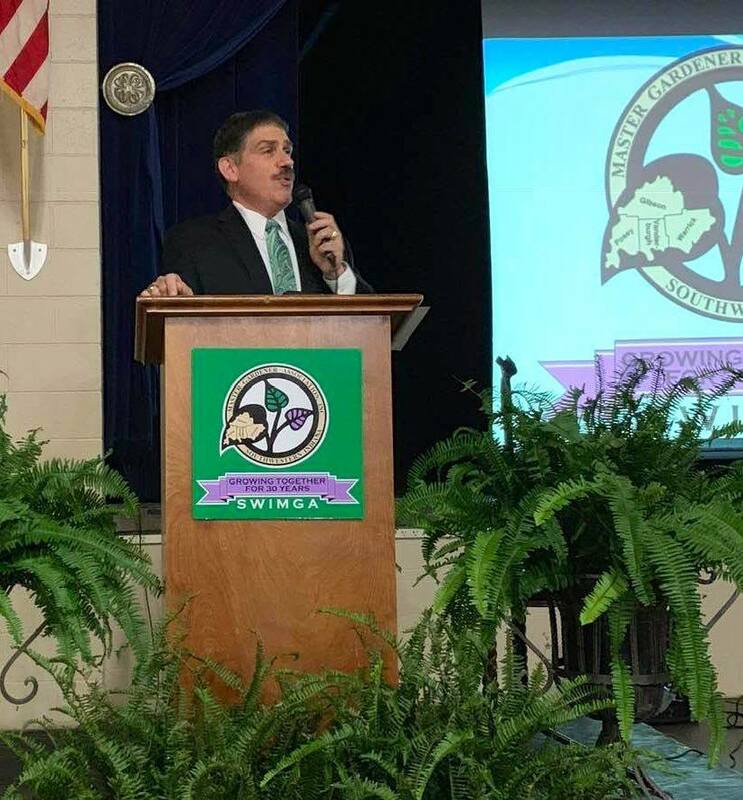 Current SWIMGA President Tony Buccilli emceed the event. Above photos courtesy of Tony Buccilli.